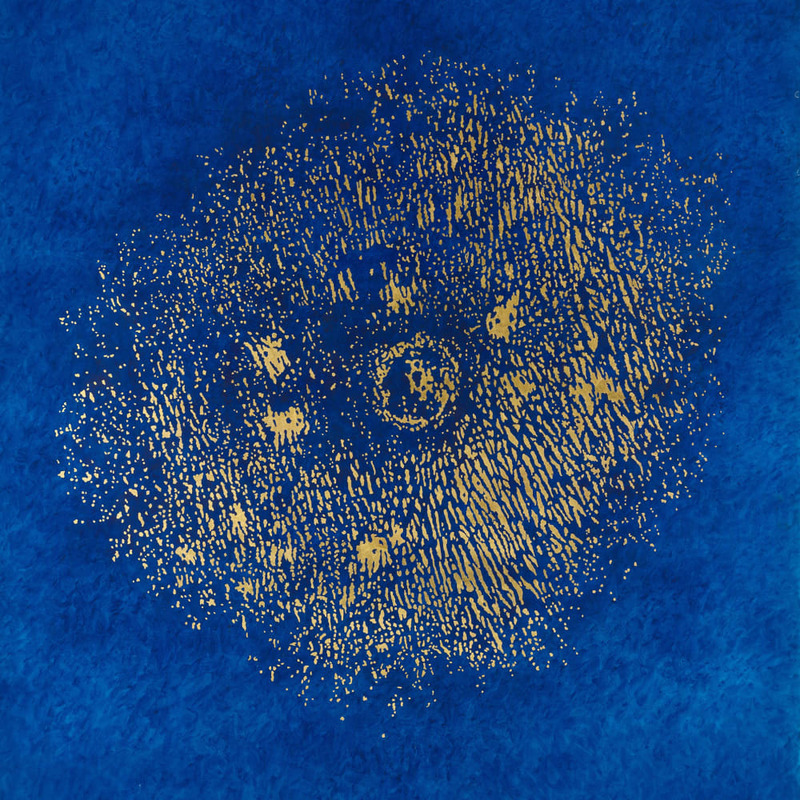 Greta SCHÖDL (b.1929) is one of the most significant female artists working in the field of visual poetry. Active from the 1960s, when the presence of female artists using text represented a minority, Schödl has spent the past six decades honing a unique visual language through a range of mythical compositions. Her work incorporates letters and symbols, obsessively repeated until rendered abstract, echoing the fervent repetition of Hanne Darboven or the symbolism of Tomaso Binga. Geometric forms and bold signs are interwoven with words, illuminated with gold leaf or embroidered with wire, and fused onto different surfaces: handmade paper, books, personal letters, maps and familiar items often associated with the home: ironing boards, pillow cases and bed sheets. Her fusion of found materials and Old German language reference both the artist’s Austrian heritage and ancestral past, whilst her performative pieces, like Untitled (1978), reference Schödl’s present life in Italy and the symbols and stereotypes associated with Italian culture and society. Through the combination of linguistic and visual representation, Schödl erases the original raison d'etre of the words and objects she uses and imbues them with new meaning. Like her peer Li-Yuan Chia, who lived as a guest of Schödl’s in the early 1960s, her work challenges the social constructs of language and suggests alternative forms of expression and interpretation. Schödl lives and works in Bologna, Italy. She graduated from the Academy of Arts in Vienna, Austria in 1953 before permanently moving to Italy in 1959. After ceasing her practice temporarily to raise a family, Schödl returned to making work in the mid-1960s and has since exhibited widely in institutions around the world. Her work was included in “Materializzazioni del Linguaggio”, the show curated by Mirella Bentivoglio as part of the 38th International Art Exhibition – La Biennale di Venezia in 1978 and is held in numerous collections, including MART | Museo D’Arte Contemporanea di Trento e Rovereto, Galleria Nazionale d’Arte Moderna e Contemporanea, Rome, and The Sackner Archive of Concrete and Visual Poetry, Miami Beach, Florida.